Buy the Farm . . . Share: Sweet Potato Chowder and World War, Too! After flying back from a work trip to Austin I was ready to get a-cookin'! I had left a whole fridge full of groceries and I wasn't about to let any of it go to waste. 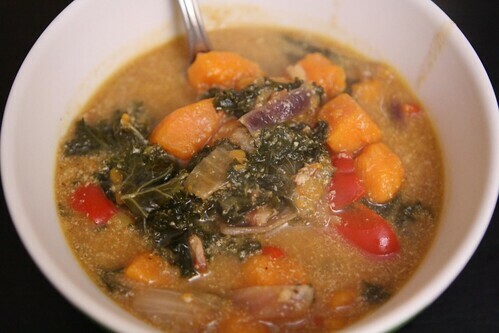 I started by making this sweet potato and kale chowder. I rendered a couple of strips of bacon, added some crushed garlic, chopped leftover onion, red pepper, torn kale leaves, some turkey stock from the freezer, salt, pepper, milk, a little half-and-half, and thickened it with a little roux. 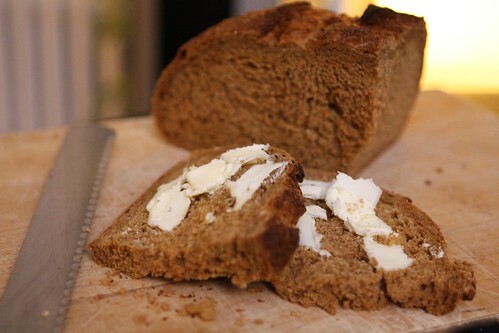 To accompany the soup I served this nice pumpernickel rye with butter. I mostly did this because we had it but it ended up accompanying the soup beautifully. 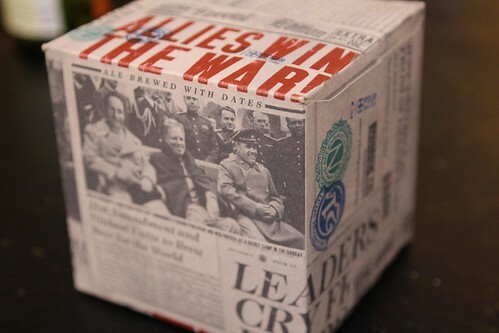 I purchased this beer because it was World War II themed. If there is one thing I like it's beer. 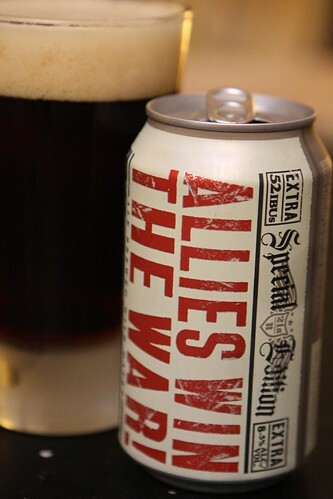 If there are two things I like it's beer and World War II. (Just for the record, if there's three things I like it's beer, World War II, and anything having to do with space and galaxies). After picking it up I learned that it was voted one of the top beers of 2011 so it turns out that it wasn't all just the gimmicky packaging of this fine-looking box. However, I wouldn't really have cared if it tasted like Coors Light after seeing this amazing packaging. While brewed under the 21st Amendment Brewery name, this is actually a collaboration between 21st Amendment in California and Ninkasi Brewing Company in Oregon. It's pretty great that they did this collaboration with another brewery but I think they really missed a golden opportunity to collaborate with an English and Russian brewery which would have also tied in nicely with the Photoshop job on the can and on the case the beer came in. Even though they missed this obvious Grand Alliance theme the beer itself was extremely good. Perhaps when my home brewing really takes off I'll hook up with an English and Russian brewer and do my own World War II themed beer playing off this concept. And it will taste much, much worse.